Ohio's Best Walking Tours - Ohio. Find It Here. There’s no better way to explore a city than by foot, taking in the scenery, sights, sounds and tastes first-hand. Whether your interests include arts and culture, history, food and drink or all the above, there’s a walking tour with a knowledgeable guide for you in Ohio. Public art displays, architectural icons, historical sites, picturesque neighborhoods and hidden gems that locals love to share await you during one of these great pedestrian-friendly tours. Check out this list of Ohio’s best walking tours. 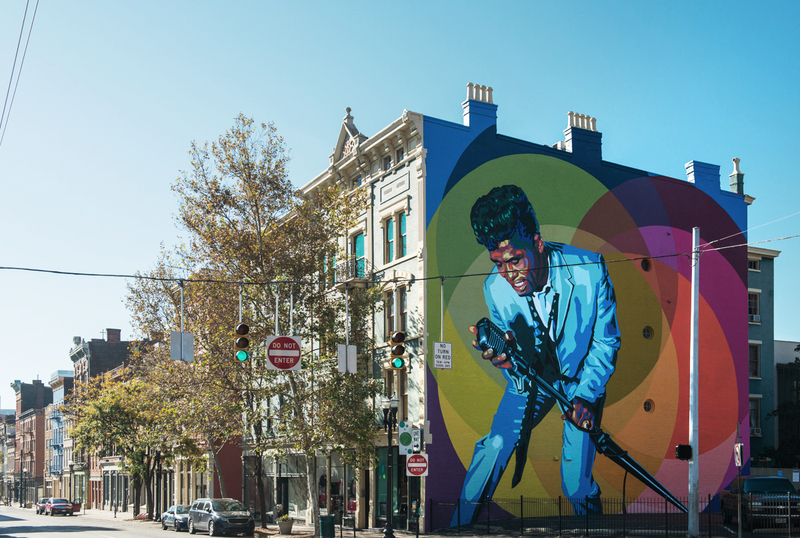 View vibrant and larger-than-life art murals throughout the Queen City with a walking tour from ArtWorks Cincinnati. Marvel at historical buildings in the Over-the-Rhine neighborhood, then descend below the city streets to explore the underground tunnels that were once vital to Cincinnati’s brewing heritage. The Queen City Underground Tour is available from American Legacy Tours. 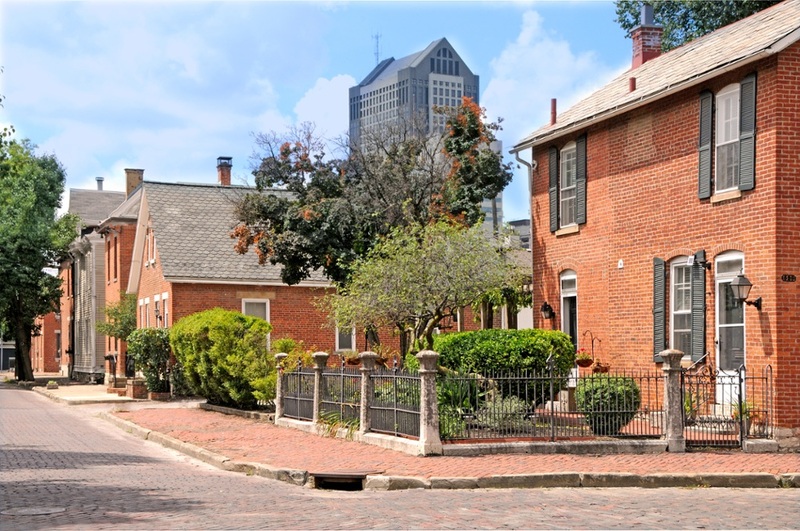 Sharing highlights of the nationally praised urban historic district, admire the picturesque neighborhood of German Village while walking among historic brick streets with this resident-led walking tour. Offering daily guided tours of the museum’s collections is The Cleveland Museum of Art, where you can learn history and behind-the-scenes information about artwork and hear stories pertaining to the artists from knowledgeable docents. Take a Downtown Highlights Tour with Tours of Cleveland to see some of the city’s best spots like Public Square, Lake Erie, the Arcade and the Cleveland Trust Company Building. 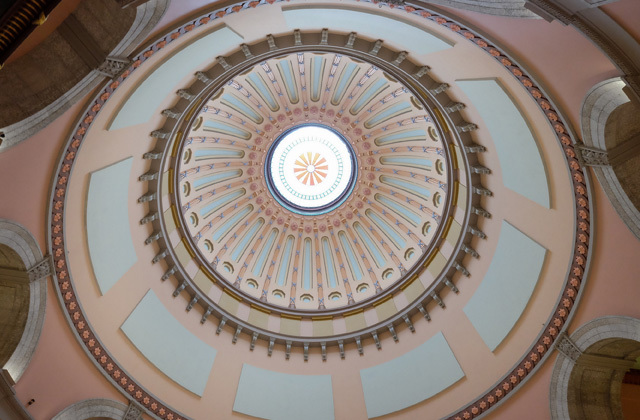 Take a guided tour of one of Ohio’s most important buildings, the Ohio Statehouse. Completed in 1861, the Statehouse is considered to be one of the most significant architectural icons of its time. Free guided tours are offered weekdays from 10am to 3pm. As Ohio’s oldest town, Marietta is the perfect place to learn about Ohio’s foundation. With a tour from Hidden Marietta, you’ll unlock the secrets of Ohio’s past by learning about Ancient Earthworks, hearing stories from disastrous fires and floods and marveling at historical landmarks throughout the town. 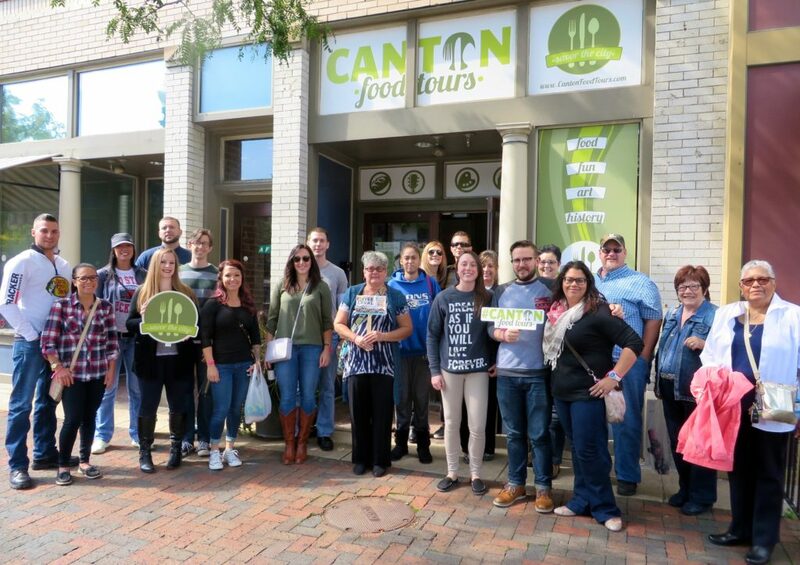 Eat your way through the Canton Arts District on the fun Hall of Fame City Food Tour from Canton Food Tours, or check out some of the best restaurants in the Capital City while getting a tour of Columbus’ picturesque neighborhoods. Columbus Food Adventures offers several food tours – I would recommend the Short North Food Tour, Old Worthington Tour or Grandview Avenue Tour. Cincinnati was once the Beer Capital of the World and one of the top pork-processing centers in the country. 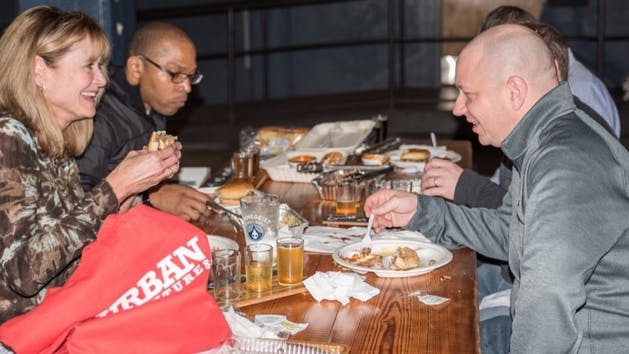 Take the Porkopolis BBQ & Brew tour from Cincinnati Urban Adventures for a delectable tour of the Queen City, or experience Cleveland through its food during a Little Italy Food Tour or West Side Market Food Tour with Taste Cleveland Food Tours. Find one-of-a-kind tours and experiences by visiting an Ohio Adventure Trail. For more happiness and adventure, Find It Here. at Ohio.org.